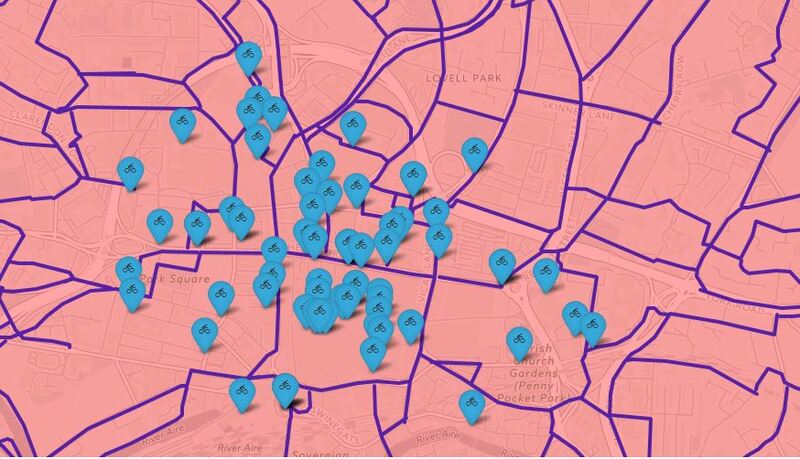 Based partly on cycling datasets hosted on the Data Mill North, this interactive application provides a visual representation of cycling in Leeds: cycling routes, cycling bays and cycling accidents. Accidents are divided into 3 categories: slight, serious and fatal. When accessing the application cycling routes appear in blue. In order to view the additional data simply tick your preferred boxes located on the top right-hand side of the application.